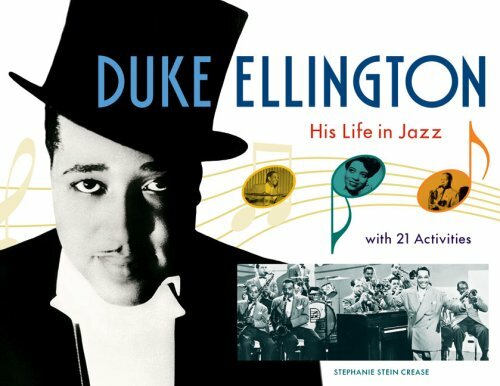 Duke Ellington, one of the most influential figures in American music, comes alive in this comprehensive biography with engaging activities. Ellington was an accomplished and influential jazz pianist, composer, band leader, and cultural diplomat. Activities include creating a ragtime rhythm, making a washtub bass, writing song lyrics, thinking like an arranger, and learning to dance the Lindy Hop. It explores Ellington's life and career along with many topics related to African American history, including the Harlem Renaissance. Kids will learn about the musical evolution of jazz that coincided with Ellington's long life from ragtime through the big band era on up to the 1970s. Kids learn how music technology has changed over the years from piano rolls to record albums through CDs, television, and portable music devices. The extensive resources include a time line, glossary, list of Ellington's greatest recordings, related books, Web sites, and DVDs for further study.